The November NC Collectible will feature the Princess Lunara Collectors Dress, and will be the final item from the Royal Treatment collection. It will only be available from the NC Mall during the month of November. We are still in need of a number of models to show off all the recent wearable items. Submit your pet (or anyone's pet) wearing any of the items we need previews of for our modeling project. Dark Lurker Avatar Update: We've received several reports that the Dark Lurker avatar is still available, so it seems to not be time sensitive in relation to Halloween. 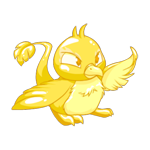 (The avatar is randomly awarded when restocking an item from a shop in the Haunted Woods area.) Happy avatar collecting! A bit of trickery the day after the night of spooks. Wh-ho turned out the lights? Petpetpet Habitats is making its return. We brought you news of this game back in Feburary of 2008, when the game was still under development. 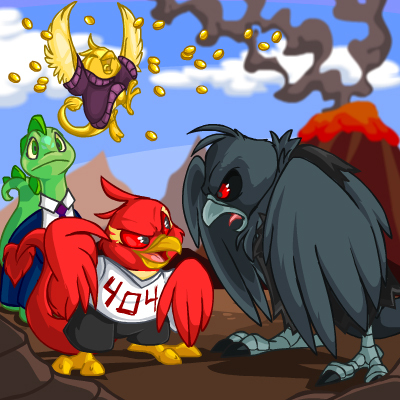 In April of 2008, the game was released to Premium members for Beta Testing. The game remained in beta for over a year, and then mysteriously vanished. 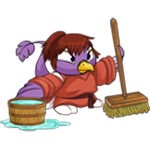 We have had news from the Neopets Facebook page that the game will be making a return with the name Professor Milton Clodbottle's Astounding Habitarium. They released some sneak peek sketches of the game. We have also come across a number of new Habitarium items that will be released soon. Looks like the game will have some new interesting features. Battlefield Legends: Check out our Game Guide for game tips and prizes. So slorgs are a little slow to the party. Better late than never! ..and the slorgs come marching one by one, hurrah! hurrah! The little one left a slimy trail, hurrah! hurrah! We've received a couple reports about cookie grabbers making their way into Neomails. Before you panic, visit the Neopets Preferences page and tick off the "Plain text Neomail" option. This will block any risky Neomails from getting through to you and strip out anything harmful. 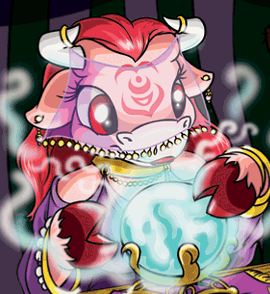 All "cookie grabbers" work on the same fundamental principle that aithyne mentioned: duplicating the string of information that your Neopets cookie contains and then using that information to login to your account. Sessions are a way for web servers to know that it is you each time you load a page without you having to login every time you load a page on that website. 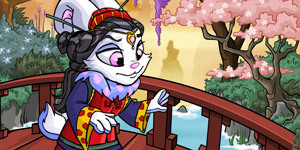 A unique session ID is generated each time someone logs in to Neopets, and then that ID is associated with that user until they decide to log out (or when the server lets the session expire, which usually doesn't happen on Neopets). In terms of Neopets, your Neopets cookie holds your username and your session ID, which corresponds to your logged in status on the Neopets web servers. Every time you load a Neopets webpage, your browser sends your Neopets cookie file to the Neopets server which processes it and decides to do something based on your cookies (e.g. when you visit neopets.com/bank.phtml, if you're logged in, your bank account will appear, but if not the server will make you login). Now, knowing what cookies and sessions are and how they work on Neopets, the next thing to discuss is how to defend against cookie theft. In theory, all you need to do is log out of your account to kill the session ID on the Neopets server. That would, again in theory, log out the scammer and make your stolen cookie worthless. (Since like I mentioned before, once you log back in, you'll get a *new* session ID which the hacker would need to steal all over again... and hopefully you're savvy enough to avoid the trap a second time!) However, it may also be a good idea to change your password since the hacker could also obtain your password by changing your email to their own and making a lost password request. With all of that in mind, I also highly recommend reading our Neopets Account Safety guide by Illy to brush up on how to keep yourself safe. Remember: always apply a PIN to your account, and don't visit any fishy links you come across! If you think you're a cookie grabber victim, quickly change your password and then log out of your account to prevent any losses. 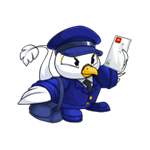 If you have any questions about account safety, please post away in our news comments! The more educated Neopia is, the better. Been Apple Bobbing today? Check out our Apple Bobbing daily guide for all the possible things you can win.